As the name indicates, this form is used by a beneficiary who may have availed the Medicare services to register a complaint to make his dissatisfaction clear with the concerned authorities. 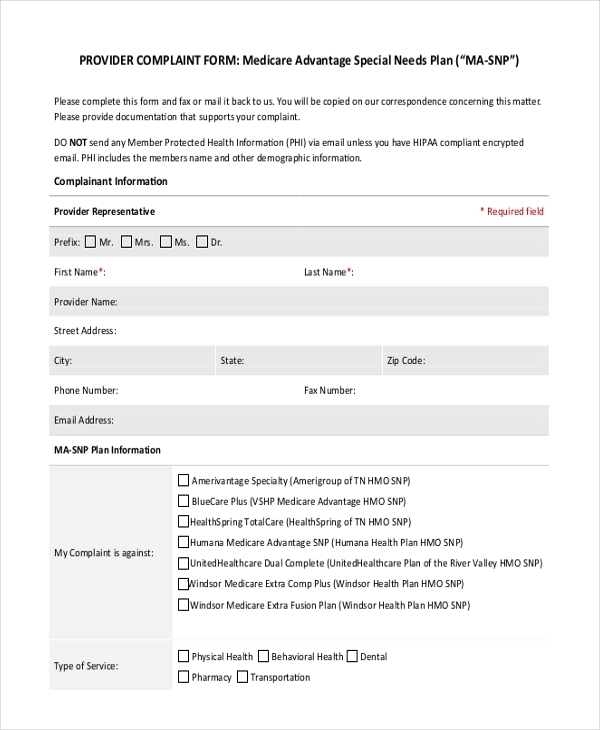 If a patient feels that the Medicare company has not abided the HIPAA terms and has given out some confidential information, he can use this form to file a complaint about this with the higher authorities. 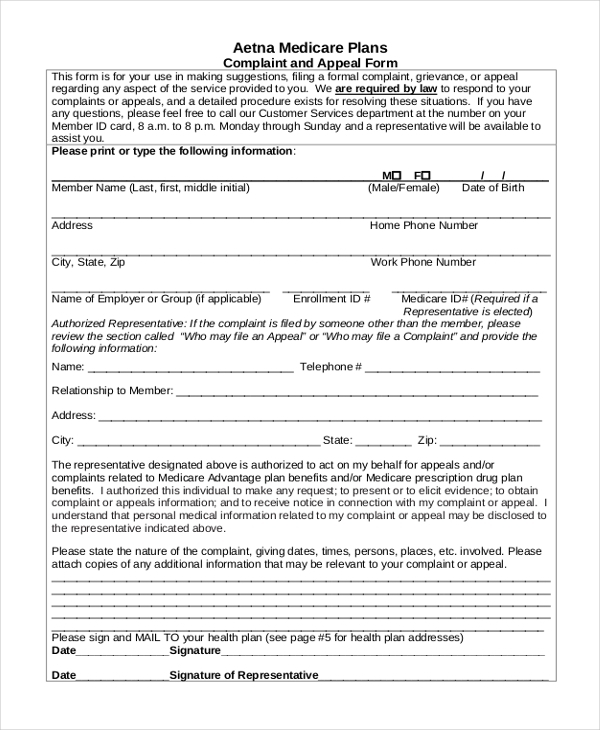 This form is used by a person to complaint against the Medicare services, in case he is not satisfied with the care that is offered to him by the company. He needs to answer a few close ended and couple of open ended questions for the purpose. If a member of the Medicare services is not happy with the whole process or the services offered, he can easily complaint about this to the authorities with the help of Medicare member complaint form. 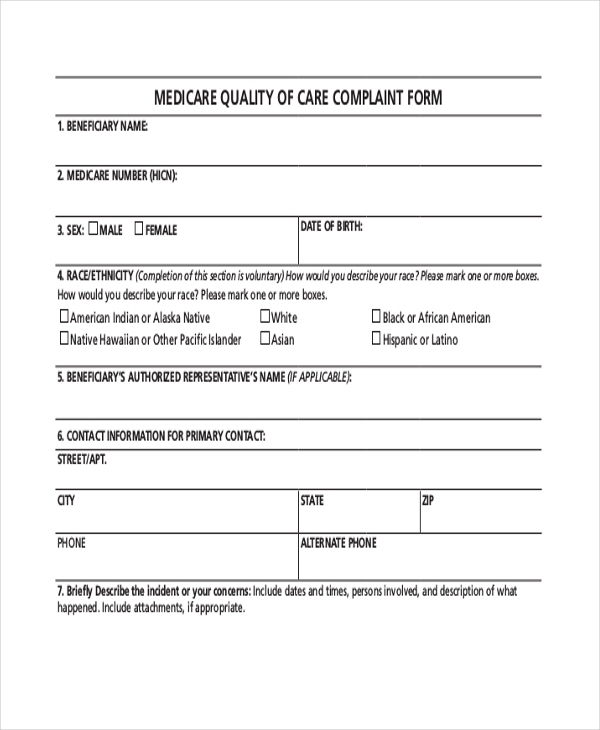 If a patient is unhappy with the service offered by a nursing home that falls under the Medicare list, he can use this form to complain about the facility to the higher authorities or the Medicare company. 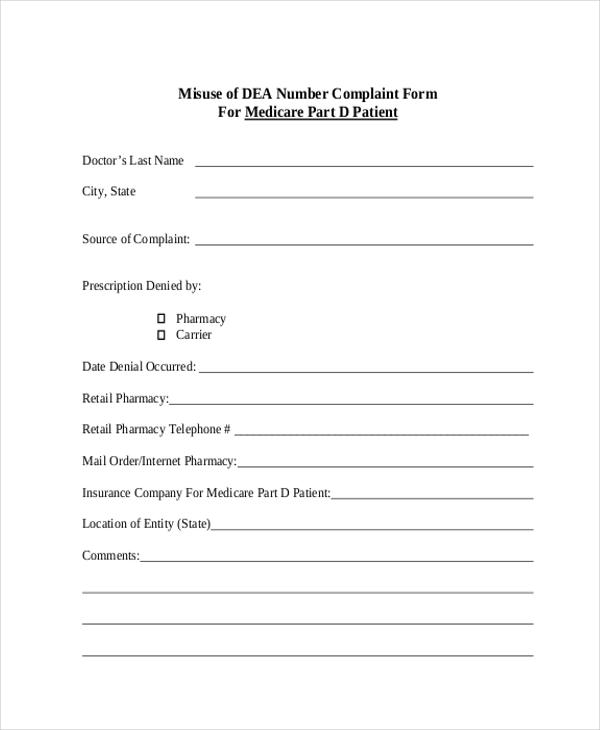 If a Medicare member has any problem or grievance with the company or the services offered, he can bring this into the notice of the authorities with the help of this complaint form. 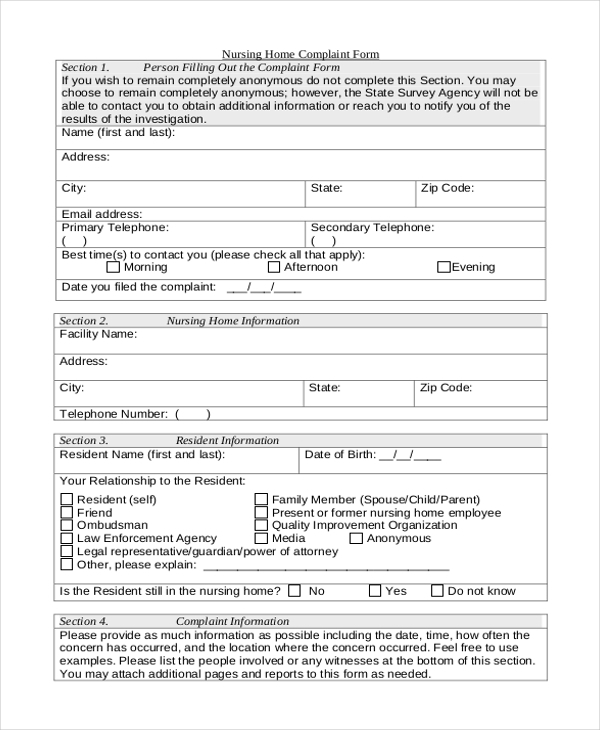 In case a patient is not happy with the treatment offered to him or the service of doctor or hospital staff, he can report this to the authorities concerned by using this form. 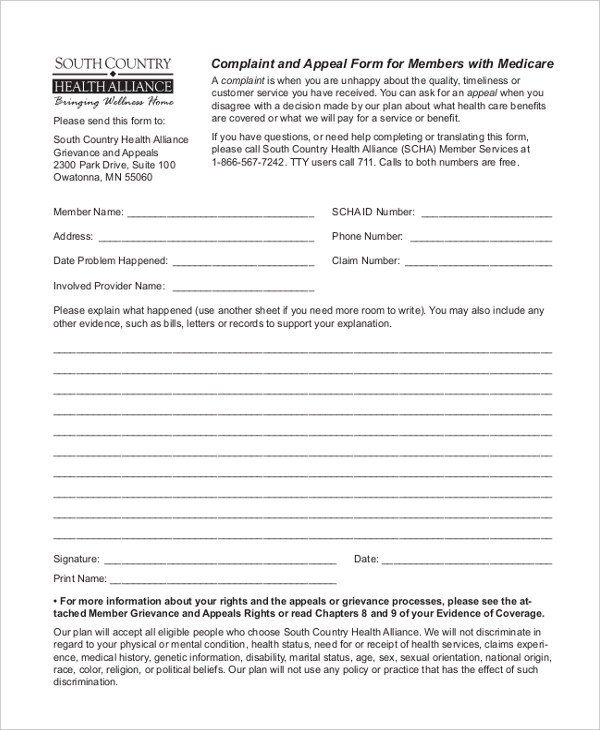 This form is mainly used by a patient who may have signed up for a special Medicare plan but is denied the facilities that were promised to him during the sign up. With this form, he can bring this to the notice of the authorities. 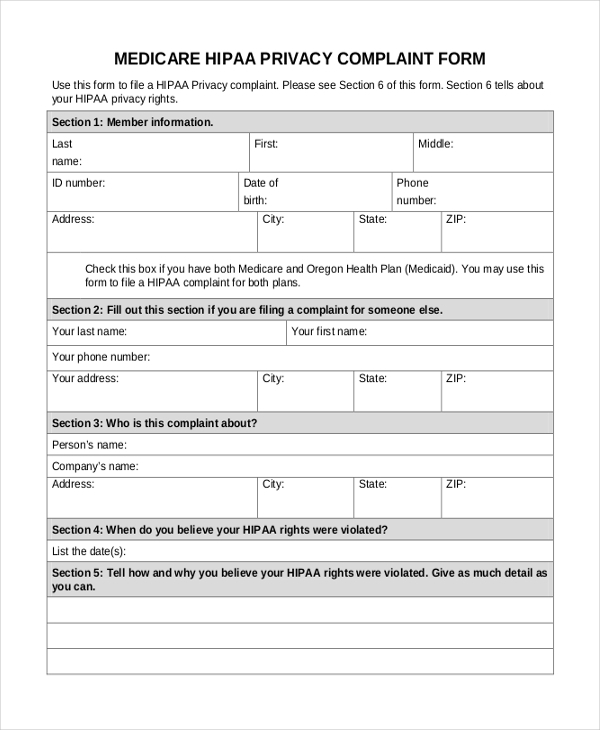 In case a person is not happy with certain Medicare plans or their execution, he can bring this to the notice of the authorities concerned by using this form. This form even allows him to share his ideas. Who Uses a Medicare Complaint Form? Medicare is an insurance facility that offers valuable health cover to people and saves them for unforeseen medical expenses. A lot of clinics and hospitals tie up with this service to offer the best treatment to the patients. 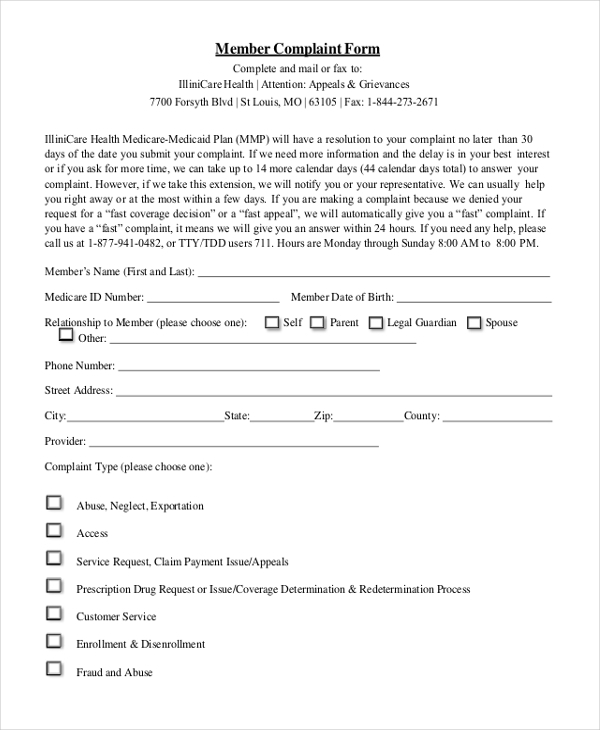 Hence any person, health facility or organization that works closely with this can use the Medicare Complaint Form. mainly use this form to complain about the poor service or treatment that may have been doled out to them in spite of the Medicare cover. use this form to ensure that the patients are happy with the services offered and to find out better ways to improve the services. What are the Benefits of Using Medicare Complaint Form? 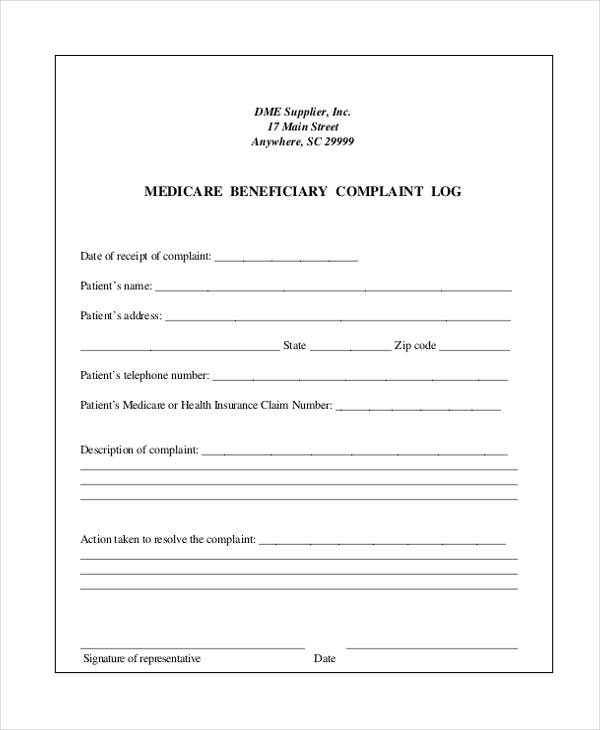 What are the Things to Keep in Mind when Designing a Medicare Complaint Form? An efficient Medicare complaint form ensures that the maximum information is extracted from the patient such that immediate action can be taken. Thus, depending on the type of Medicare complaint form, frame some questions such that you can encourage the complainant to share effective information. It is a good idea to frame close ended questions as these are easier to answer. Make sure that the form is not too long as this makes it difficult for the authorities to browse through. Designing a Medicare complaint form can be quite a task especially with all the questions that you may have to include. But thanks to the wide range of these forms available online, you can easily find one that would be perfect for your needs. Go ahead and download this form and then customize it as per your needs.